Starting from the early initial stage, our products are specially designed to repair and protect the concrete against the abrasion and damage. 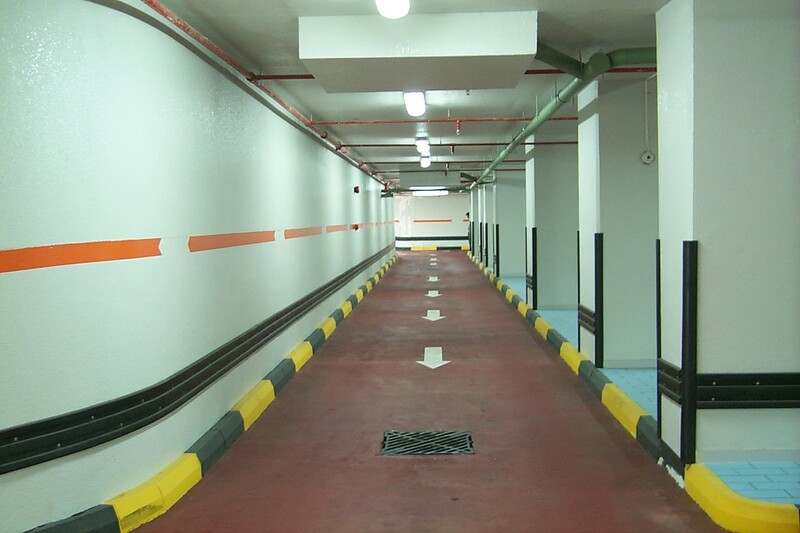 Except the concrete protection, weber also provides a waterproofing solution for the multi stories car parks. Furthermore, weber also offers special products resistant to hot tires, car emissions and for the spillages from car oils, brake fluids and other chemicals. Weber also provides a solution for the pedestrian lanes, ramps and anti-slip protection systems. Finally, in order to design the perfect car park flooring system, Weber offers ultra-violet and heat resistant products that are especially designed for external areas. Weber epoxy floor coating system is one of the most durable and long lasting coating in the market. This system is very easy to apply, easy to clean, invincible to stains and to many other chemical substances such as brake fluid, battery acids, hot tires, car emissions and other spillage Like car oils. Weber epoxy floor system has also high resistance to abrasion and damages. Weber offers ultra-violet and heat resistant products that are especially designed for external areas and ramps. These polyurethane products have excellent bonding to the well prepared substrate and can sustain easily to the permanent traffic tear and wear. Our easy to apply system will not pull off easily due to its high adhesion strength.As a result, it will be very difficult to pull it off. 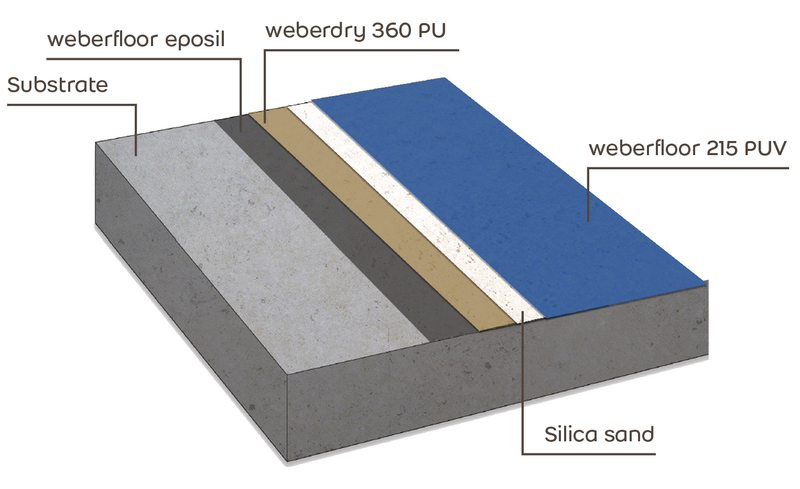 weber created this floor coating system first,to seal the porosity of the substrate and to improve the resistance of concrete to chemicals and daily abrasion,in addition,it has high insulation and waterproofing features.This system protects from high wear conditions and it is ultra violet resistant,semi-rigid, resistant to frost and to high temperature as well. 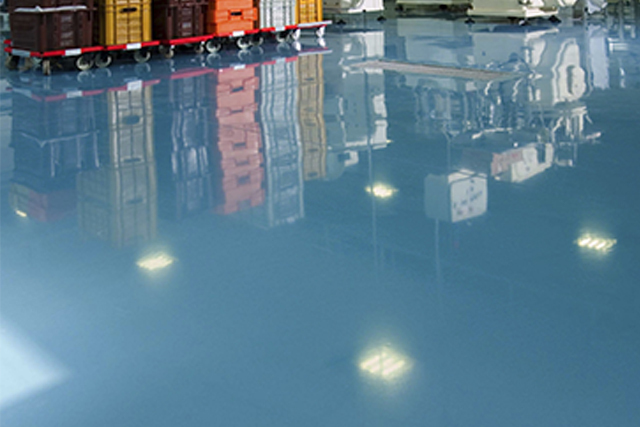 weberfloor epobat is a two-component solvent-free epoxy flooring coating. It is a high performance self-smoothing product, easy to apply, leaving a durable seamless surface, specially formulated as heavy duty concrete coating for floor. The product consists of pre-weighed colored resin and hardener components. weberfloor epobat provides a hard wearing and abrasion resistant floor finish for basement, warehouses, industrial factories, ground floor car parks, traffic decks with no structural movement... Additionally ,it provides a high resistance to chemicals and salts. It can also be used as a rust preventive coating for concrete and steel tanks and other surfaces subjected to chemical attacks and corrosion. weberfloor 220 PU is a two component, aliphatic iso-cyanate cured high build polyurethane finish with excellent resistance to UV and atmospheric exposure. The fully cured coating has excellent resistance to splash of mineral and vegetable oils, white spirit, paraffins and aliphatic petroleum products and it has good adhesion on various surfaces: cementitious, metal, wooden etc. weberfloor 220 PU is ultra-violet resistant and it has an excellent water and chemical resistance,suitable for interior and exterior applications, excellent color retention and non-chalking properties, and very good abrasion resistance. This system ,webersys 2100 XPU, has many features starting by sealing the porosity of the substrate thus providing a homogeneous and adherent surface to various coating systems. It also improves the resistance of concrete to chemicals and daily abrasion, and reduces its absorption of water and salts. Wear resistant, semi-rigid, weather stable top coat, subject to high public pedestrian and medium car traffic.